August 7, 2013 August 8, 2013 by Get to know me! Hi my name is Pam and I’m a mascara addict. And yes it is that extreme! If Betty Ford had a rehab program for mascara addiction I would be in and out of rehab more then lindsey lohan and I would probably relapse the minute maybeline came out with a new product. I have been known for using anywhere from 3-7 different mascaras a day and apply fake lashes just to go grocery shopping! I always have to try the latest and greatest. Now I’m sure most of you don’t have quite the obsession with flawless lashes like I do but I’m sure you all use mascara on a daily basis. So I have exciting news ladies!!!! I have found THE BEST mascara ever, literally this one tube has replaced all of my other ones and Iam down to being a one mascara girl! This is the holy grail of volume, curl and extra length . It’s MAC’s “In Extreme Dimension Lash” mascara. It’s super lightweight , adds a ton of volume and length while it curls your lashes and the smaller brush coats every single lash. 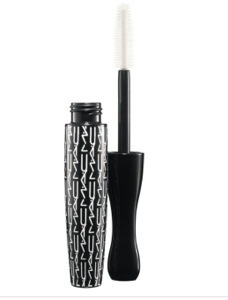 Also with this brush it is small enough to use on your lower lashes with ease. It’s $21 and worth every penny. Trust me, no more clumpy , smudgy or flaky mascara every again!